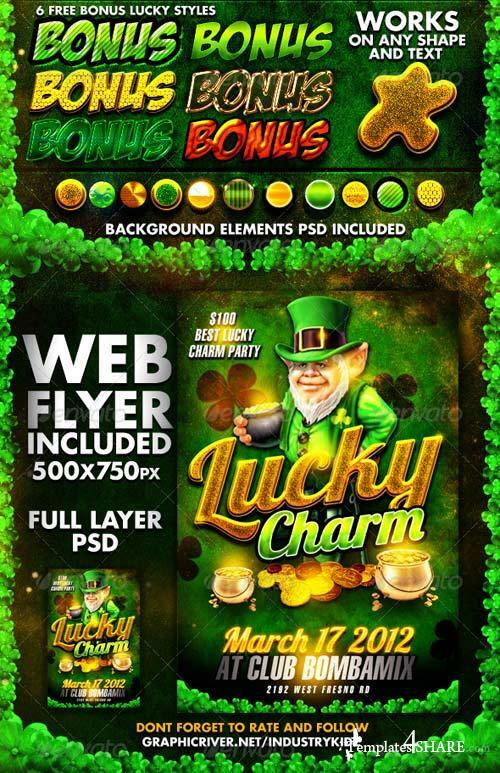 St Patricks Day Photoshop Styles and Web Flyer. Works on Shapes and any Text. Web Flyers Included 500x750px. These styles don't need multiple layers. One Click and Your All set.